There are many ways to steal things, but the tactic these three women applied might just be one of the most unconventional. 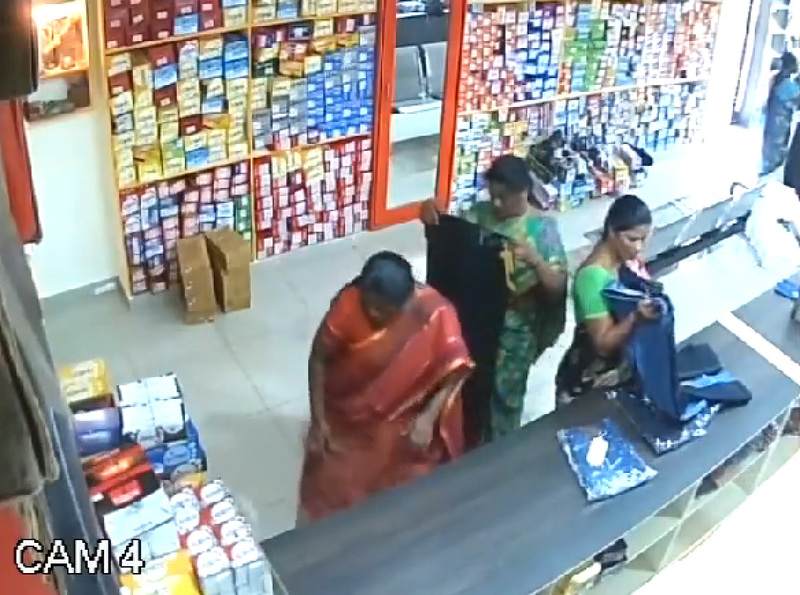 In a video uploaded onto Facebook, the women successfully steal piles of clothes by hiding it under their long sarees. 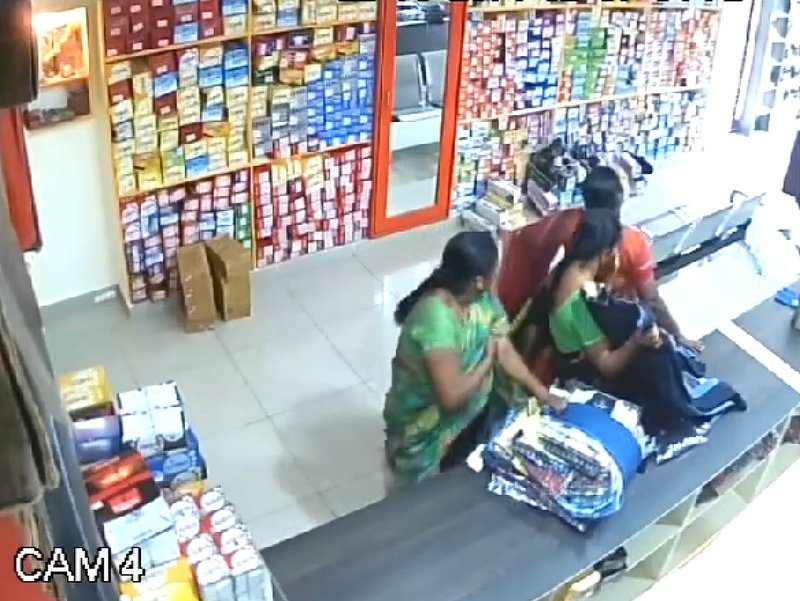 The shocking video shows the women tightly wrapping bundles of clothes together, before lifting up their sarees to hide the clothes in between their legs. Each of the women take a turn doing this. 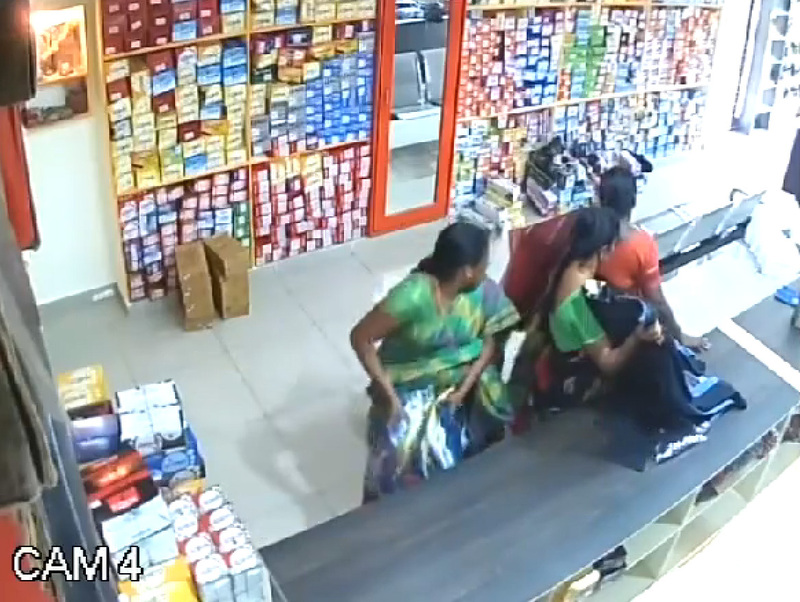 While one is stealing the clothes, the others help keep a lookout and block the view of the cashier at the front of the store. 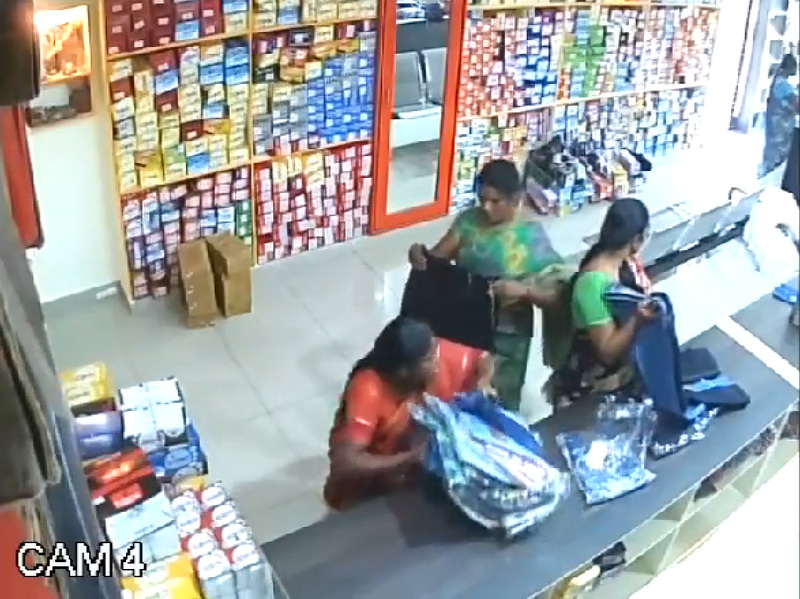 There are many ways to steal things. But the tactic these three women apply might just be one of the most unconventional. 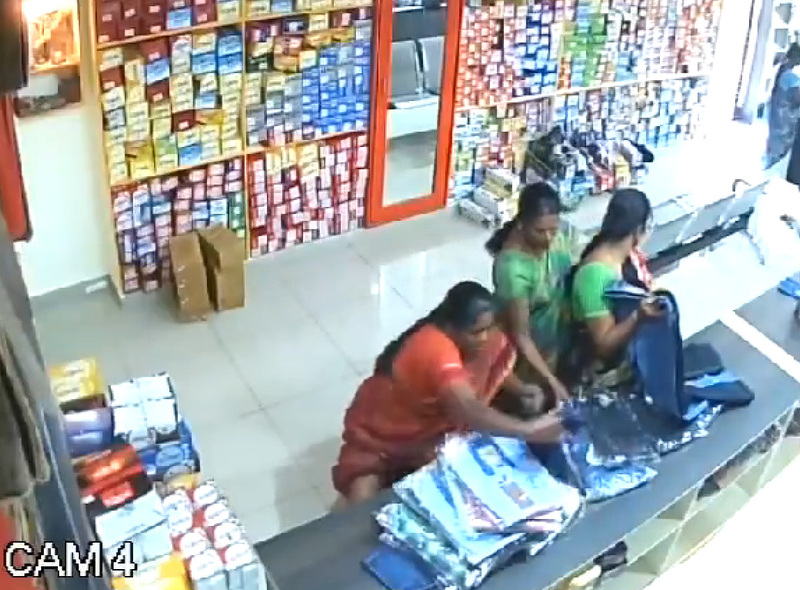 According to a video uploaded on Facebook, the women successful steal piles of clothes by hiding it under their sarees. 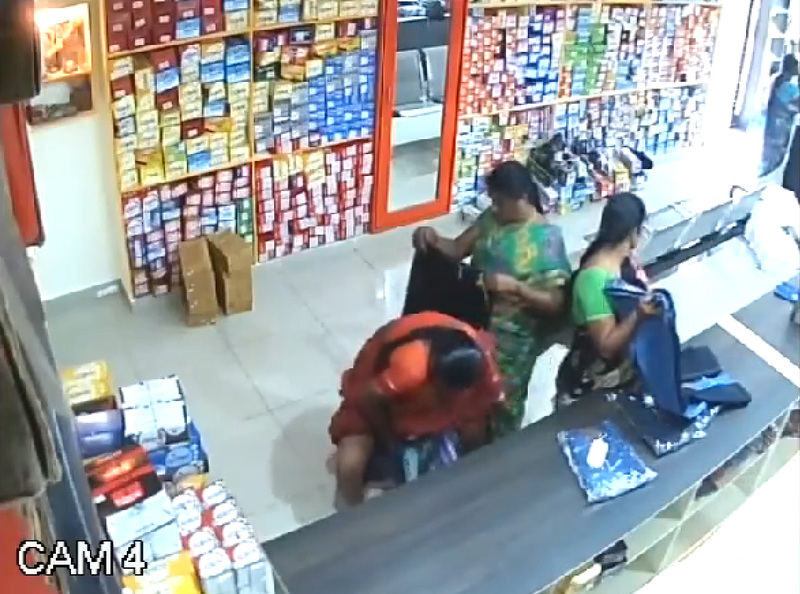 The shocking video shows women tightly wrapping a bunch of clothes together. 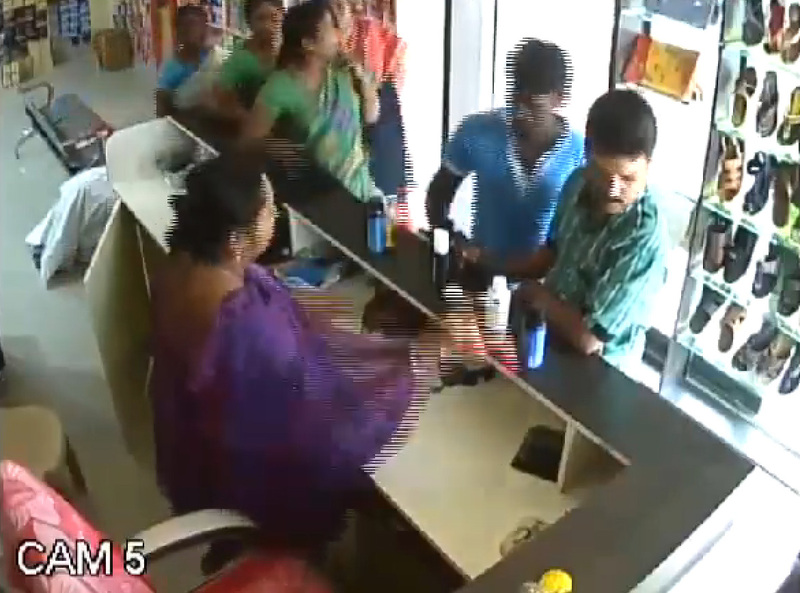 The women then lift up their sarees to hide the clothes in between their legs. All three women take turns doing this. 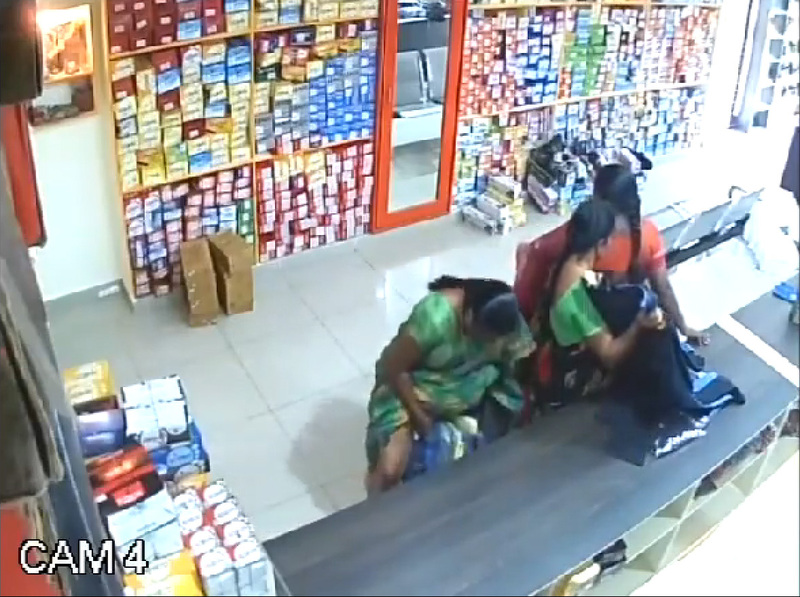 While one woman is stealing the clothes, the others keep a lookout for the cashier at the front of the store. 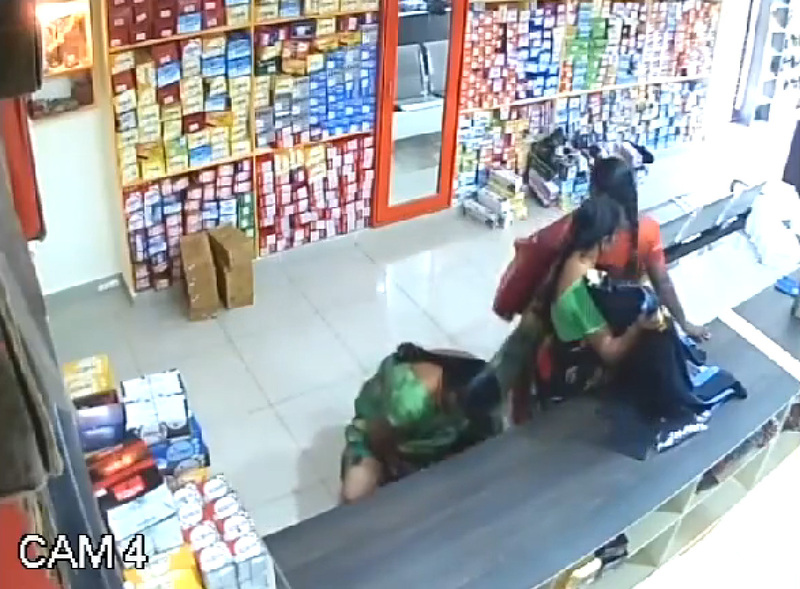 Finally, after they have finished, the women causally walk over to the cashier with some clothes. 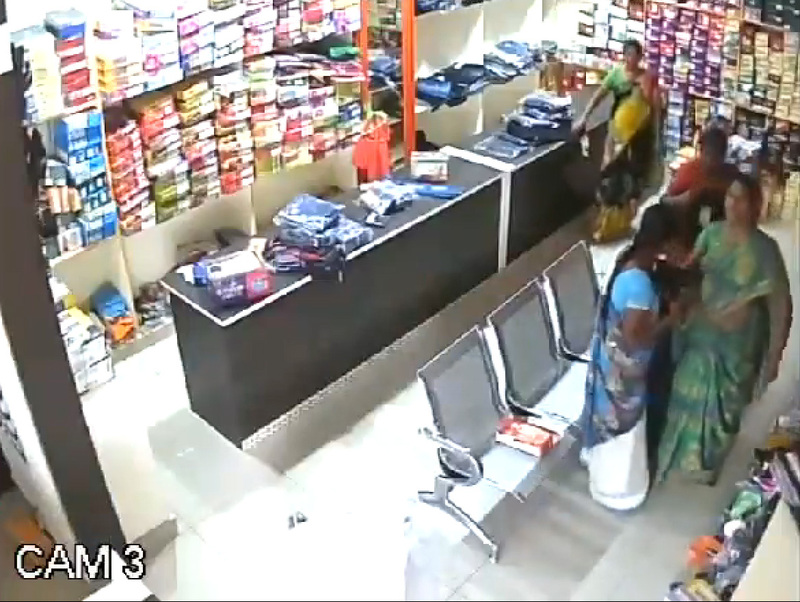 While there, the women casually chat as there are some men ahead of them in the queue. 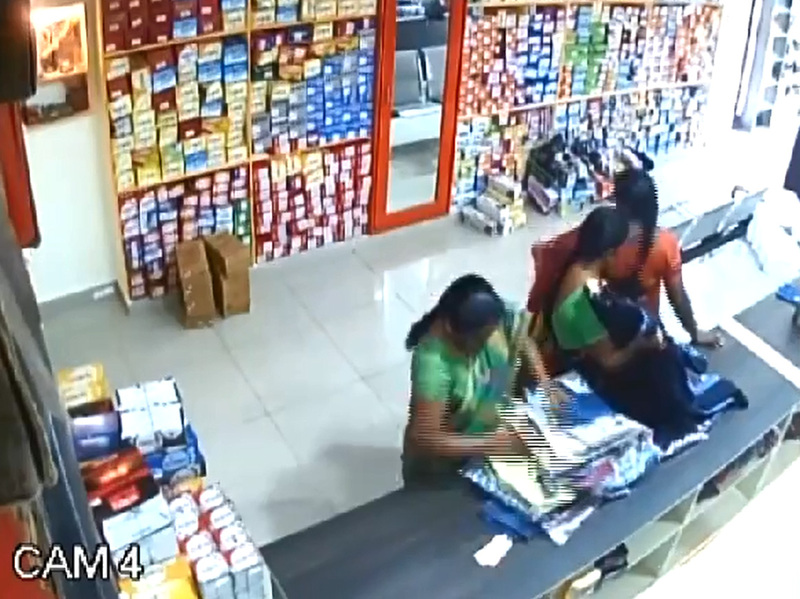 One woman from the group then proceeds to ask the cashier to take something from behind her. 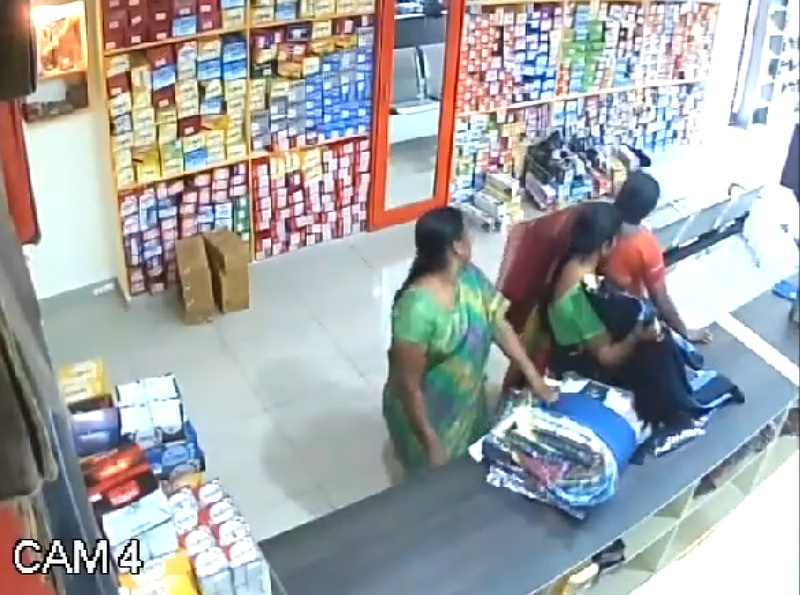 While the cashier has her back turned, two of the woman make a quick escape and leave the store. Since being uploaded on Facebook, the video has gotten over 668,000 views and over 26,000 shares. 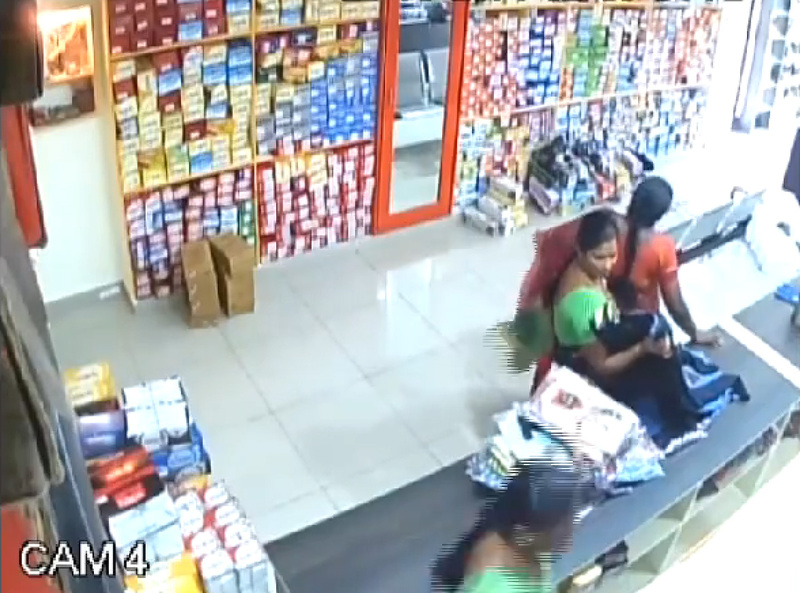 Finally, after they've finished, the women causally walk over to the cashier with some clothes. 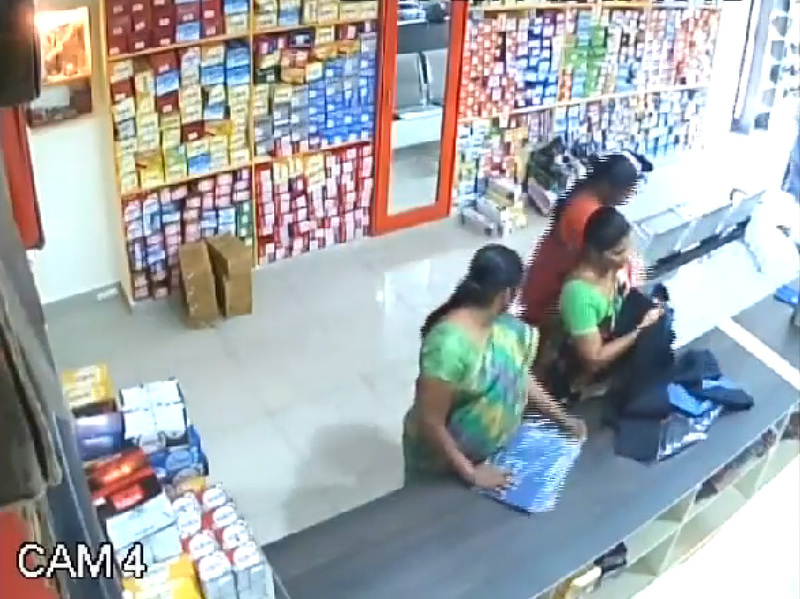 One woman from the group proceeds to ask the cashier to fetch something from behind her. 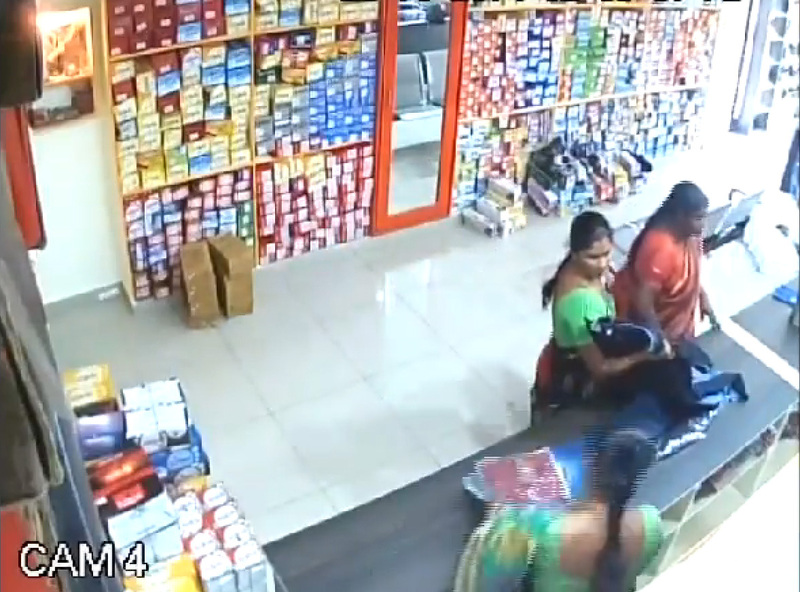 While the cashier has her back turned, two of the woman then make a quick escape and leave the store.